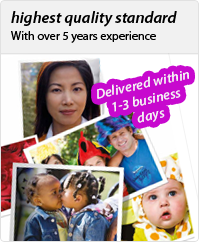 Epson Stylus Photo R800 ink cartridges and supplies. Guaranteed quality, lowest price and same day shipping! Our compatible and remanufactured cartridges and supplies for Epson printers are specially engineered to meet or exceed the print quality of the OEM(Original Equipment Manufacturer) cartridges. Purchasing our Epson cartridges is a great way to save money without sacrificing print quality. All our compatible and remanufactured cartridges have one year warranty and satisfaction guarantee so you can shop with confidence and save time and money. Epson T054120 Remanufactured Ink Cartridge Photo Black for Stylus Photo R1800, Stylus Photo R800 series printers. Epson T054220 Remanufactured Ink Cartridge Cyan for Stylus Photo R1800, Stylus Photo R800 series printers. Epson T054320 Remanufactured Ink Cartridge Magenta for Stylus Photo R1800, Stylus Photo R800 series printers. Epson T054420 Remanufactured Ink Cartridge Yellow for Stylus Photo R1800, Stylus Photo R800 series printers. Epson T054820 Remanufactured Ink Cartridge Matte Black for Stylus Photo R1800, Stylus Photo R800 series printers. Epson T054920 Remanufactured Ink Cartridge Blue for Stylus Stylus Photo R1800, Stylus Photo R800 series printers. Epson T054720 Remanufactured Ink Cartridge Red for Stylus Photo R1800, Stylus Photo R800 series printers. Epson T054020 Remanufactured Ink Cartridge Gloss Optimizer for Stylus Photo R1800, Stylus Photo R800 series printers.